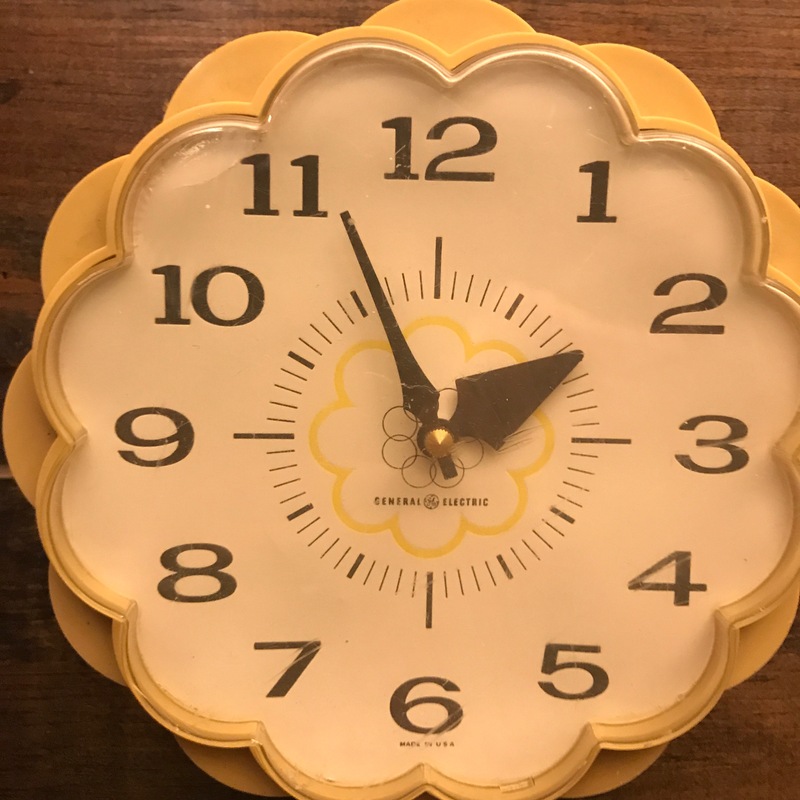 History: Clocks took on more whimsical looks during the late 60s and 70s. These were usually made of molded plastic. 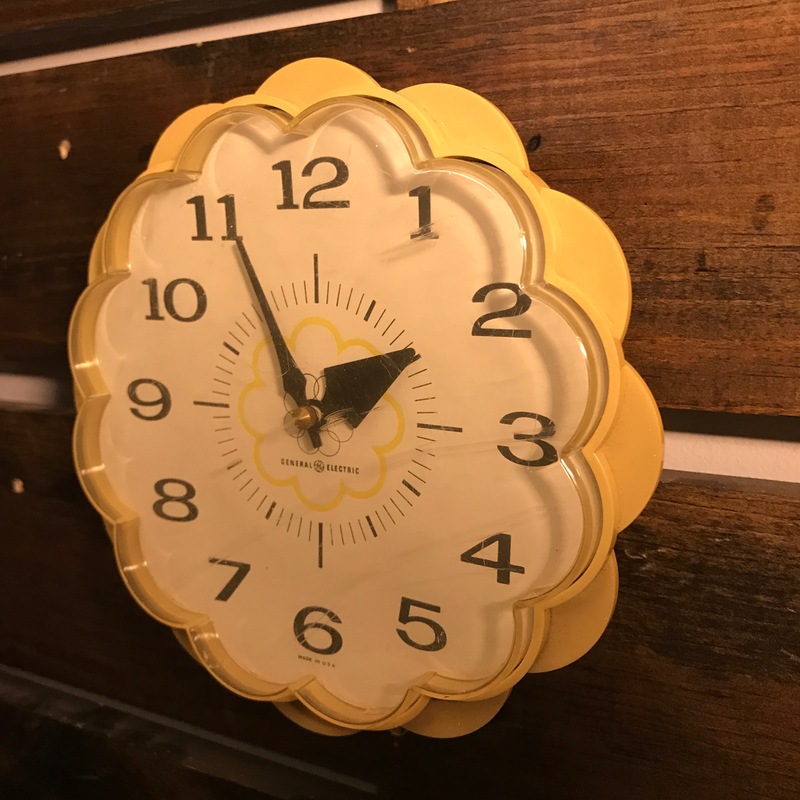 Most of these clocks from this period didn’t survive but some made it. 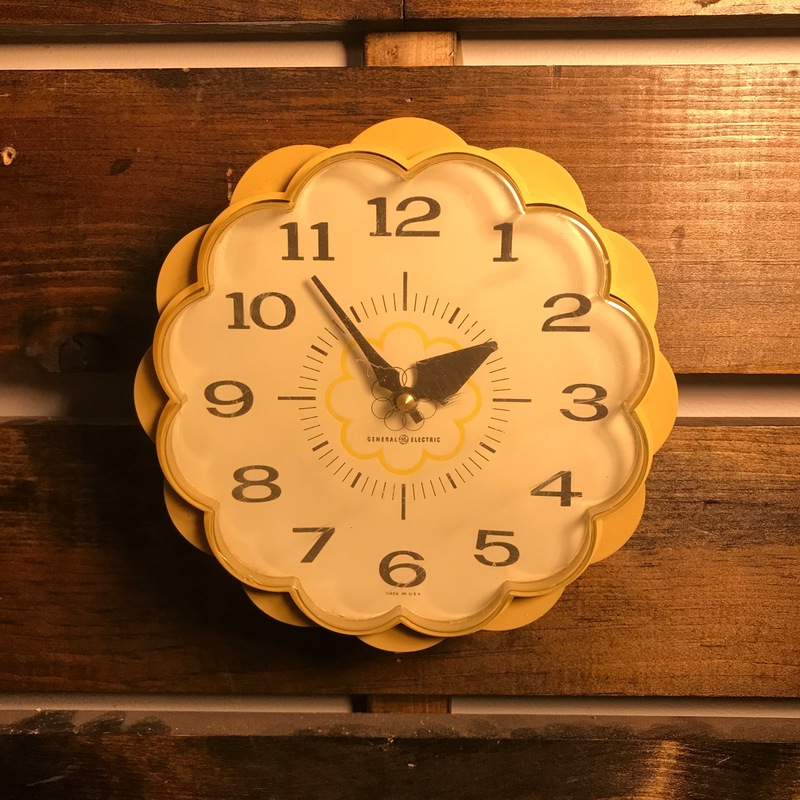 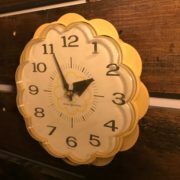 Style: Bright, Fun and airy This whimsical daisy aged clock invokes days full of sunshine and peace and love Harking back to the days of it manufacture in the 1970’s And will surly brighten up any room of your home. 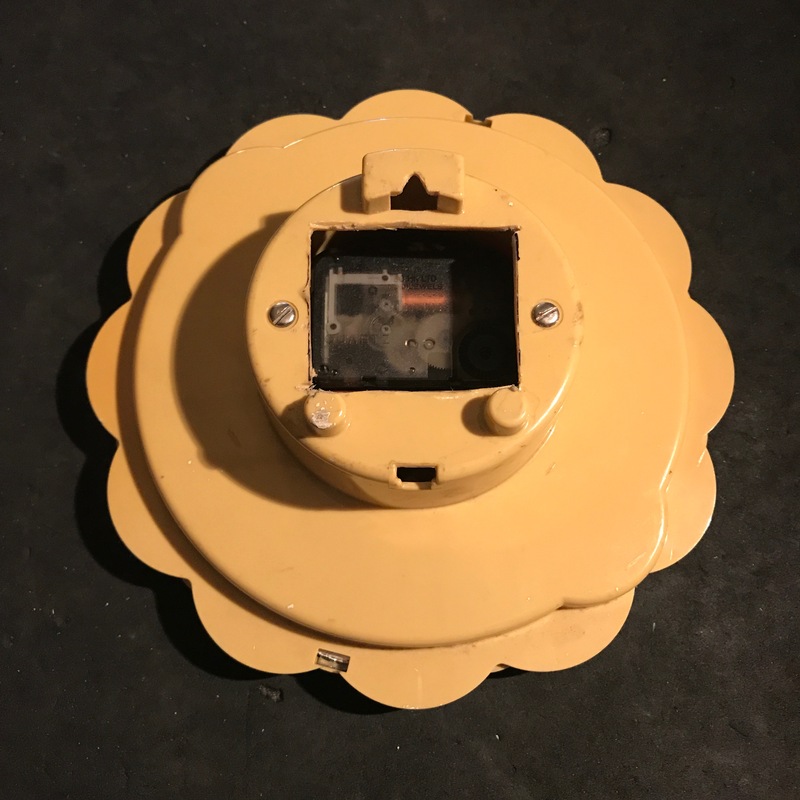 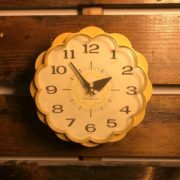 it features a scalloped dial with brownish numbers It retains it’s original specialized hands and a yellow plastic case. 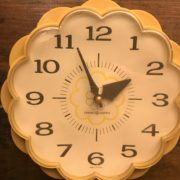 Movement: This clock has been customized to a quartz AA battery movement.